Dr. Budd was born and raised in Richmond. He attended the University of British Columbia for eight years, and received his Bachelor of Science in 1990 and Doctorate of Dental Medicine in 1994. Upon graduation, Dr. Budd was selected to join the prestigious Omicron Kappa Upsilon fraternity for finishing in the top 5% of his class. As a general dentist, Dr. Budd was an assistant clinical professor at the University of British Columbia, and also a part-time staff member at Holy Family Hospital. After practicing general dentistry in East Vancouver and South Surrey for eight years, Dr. Budd decided to extend his education by pursuing a specialist degree in orthodontics and dentofacial orthopedics. He was accepted into the orthodontic graduate program at the world-renowned University of Toronto. This is a specialized three-year program that includes a research and thesis element, for which Dr. Budd won various awards. In 2005, he received his Master of Science in orthodontics and his fellowship in the Royal College of Dentists of Canada. Dr. Budd is also a fellow of the College of Dental Surgeons of British Columbia. 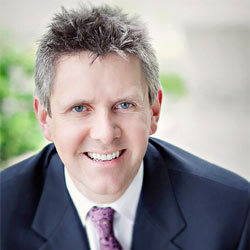 In addition to running his practice, Dr. Budd is examiner for the Royal College of Dentists of Canada. The RCDC administers the fellowship board examinations that a dentist must pass before commencing practice as a certified specialist. Dr. Budd has also published a scientific article in the European Journal of Orthodontics [PDF format, 405 KB] based on his thesis. Outside of orthodontics, Dr. Budd enjoys spending time with his wife Teresa and his two daughters.